Notes From the Beer Farm... — Prestonrose Farm and Brewing Co.
Brews and Blues on 22! It’s almost time! The first Saturday in June is our Brews and Blues on 22 Beer Fest!! This year we are raising money for our awesome little county fairgrounds association, and helping to build the fantastic venue into the community hub it was meant to be!!! THIS FESTIVAL WILL HAPPEN RAIN OR SHINE! GET YOUR TICKETS TODAY!! Go to eventbrite and lock in your spot! Delta Biscuit—saturday night AND sunday morning! March 20 marks Vernal Equinox…the first day of Spring! Life that used to be measured by getting the most out of paid vacations, road maps leading to our favorite breweries on the way to visit family and friends, 40-hour work weeks, concerts and festivals on the other side of the country were even up for discussion…..is now measured around the beating heart of Prestonrose. Every month of the year there is a scheduled event we build everything else around. Crashing fermenting beer and kegging and carbonating the latest brews is the first topic of discussion in almost any plans made. All grocery shopping is connected to the bistro and/or a food centered event. Family meals are restaurant leftovers. Holiday family gatherings have grown exponentially to include our neighbors, community and friends. It is a race against the clock to get the seeds in the ground. It is a race against the clock to plan the next menu, to clean those fermenters, get those malt, yeast and hop orders in, pick crops, pick up the bread, file taxes, try somehow to keep the laundry caught up, dust the retail shelves, create the next beer recipe, think of something do with all those brussels sprouts, plan the beer festivals, can or freeze crops before they spoil, egg hunt, taco party, print menus before we open the gate, pint club, ship retail orders, charity events, donations……it’s a race for just about everything! And we wouldn’t change a thing. It’s a work in progress…but it’s slowly (in some cases quickly) becoming a reality! The addition of B2, our second indoor seating bistro, has quickly become a popular spot…it adds a comfy extra 18-20 seats, and a really cozy 30 :-) We refinished the top of the beautiful 16 foot long cedar table we have had out on the deck for the last year, and brought it in with plans of adding an extension to it very soon. There’s a little hostess stand, and full service is available in B2 on weekends. 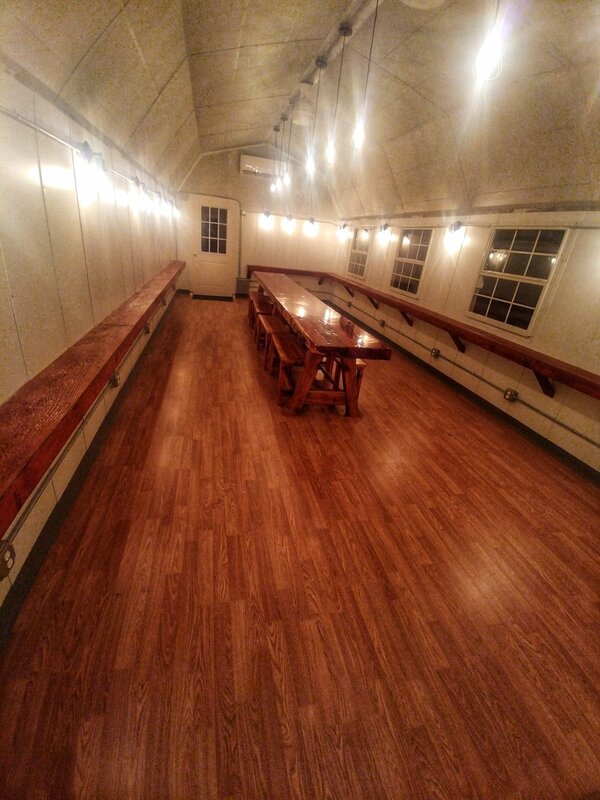 On Thurs/Fri it is usually open to additional seating for larger crowds/bad weather, but we plan to utilize it largely for special events on days when the kitchen is not open. 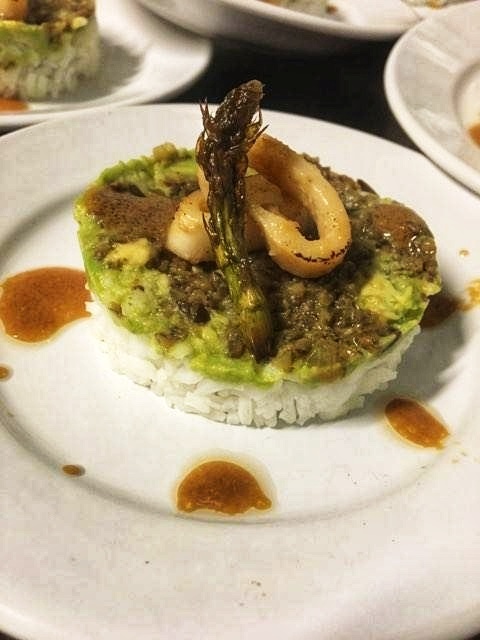 We held our first special event in there, From California With Love (all-California seafood dinner for Valentine’s Day) with much success and happy bellies! Our second event was just last week, Paints, Pints and Flights…a sip-n-paint evening where 11 lovely folks gathered and created some adorable treasures while enjoying snacks and beer. We hope to continue that class as well as several others we’ve got in mind for this year! If you’re interested in a special event in B2, please let us know! We have different rate schedules based on level of service, number of people etc. Our THIRD Beerthday Weekend was a wonderful success, thanks to all of our supporters who came and celebrated with us! Many faithfuls came all 4 days so they didn’t miss anything! Perhaps the biggest spectacle was the Pig Roast…we roasted our Beer Pig caja china style and served up hundreds of pulled pork meals featuring our delectable pork raised up on spent grains from our own little brewery by the Varnell family on Tyton Family Farm. It was quite the full circle experience, and we cannot wait to create more! We had a GREAT time with our maltster friends, new and old, at the Craft Maltsters Conference in Bozeman, MT! February in Montana was FUH-REEZING but so fun! Montana is producing some great beers and the folks we met are producing some beautiful malt to make em! Our own maltsters, Troubadour and Riverbend, were on hand and I was invited to speak on a round table called “inside a brewer’s mind”…and expound on our commitment to 100% craft malt here at Prestonrose. it was an honor to speak alongside Wayne Wambles, the head brewer at famed Cigar City Brewing Co., and Mark Gillette from one of the nation’s first homebrew suppliers, FH Steinbart. The Beervangelist himself, Fred Bueltmann of New Holland Brewing was our moderator….and later in the month, our musical guest on the beer farm! 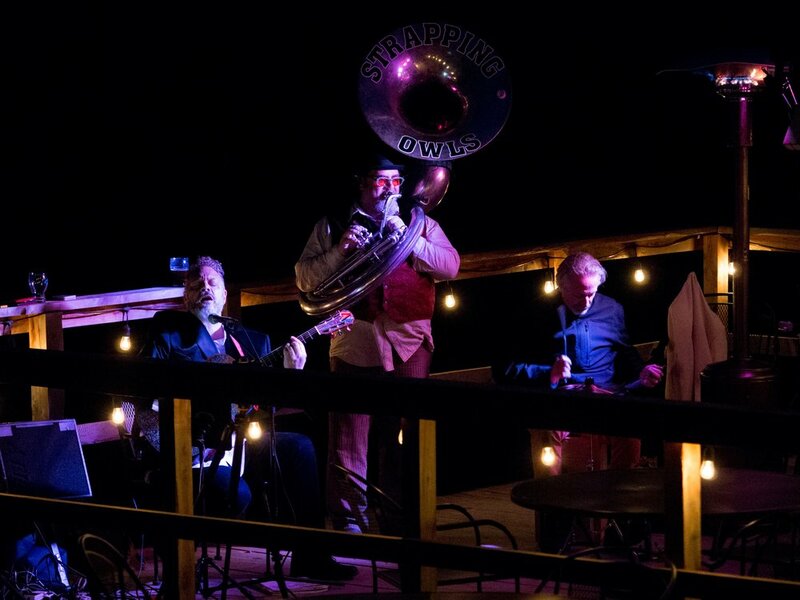 Fred plays in a band called the Strapping Owls, and as luck had it, the stars aligned and they came to play at the beer farm Feb 26 and a great time was had by all! They even wrote a song just for Prestonrose!! Watch our facebook page for video! we managed to collect a smidgen of snow this winter! it’s a great beer holder! I’ve been busily brewing away, despite a slight decrease in my social media posts to that effect (i can only do so much!!) making sure we (almost) always have our big 3 (Heritage, Blue Centennial and Hawk & Horse Porter) as well as 2-3 revolving brews. In December we served the last keg of 2018 Patience…and the first of 2019. Rather than a seasonal keg release this year, we opted to barrel the remainder of 2019 Patience in a Rocktown Distillery bourbon barrel! We will release that New Years Eve 2019. So exciting! We are also barrel aging one we affectionately call Fruitcake…that will be a special Christmas gift to you!! Currently on tap is Heritage Pale, Blue Centennial, Moonless (a Black Saison), Cuppa Tea (green tea and chamomile saison), Farmer Brown, and Cailleach Ruadh, our seasonal Irish Red named for the Gaelic goddess of winter (we release it every year as we bid winter farewell on St Paddy’s Day). Coming up very quickly we will release our latest concoction with Ft Smith Coffee, Iced Mocha Stout. It’s a delicious milk stout with 5 gallons of Kaity’s amazing cold brew made just for us over in Fort Smith. It’s a tasty one!! After that we’ll see the return of Coach’s Cream Ale, a new brew called Cinnamon raisin toast, and a hard cider made with A&A orchards apple cider is on the horizon as well! Look out for a wave of Belgians, and a Hefeweizen coming soon too! And of course…Cinco de Mayo is coming up quicker than you know, and Mariachi Stout will make its long awaited return! We have lots of dried hot peppers from last summer and fall just waiting to jump in to that tasty stout! Fat Top Farms Shiitake “Faux Bucco”…a riff on the Beef Osso Bucco served the same evening along with Arkansas Sweet Potatoes and Greens. Our food program, I think it is now safe to say, has been received with loving arms and happy bellies and is moving full steam ahead! 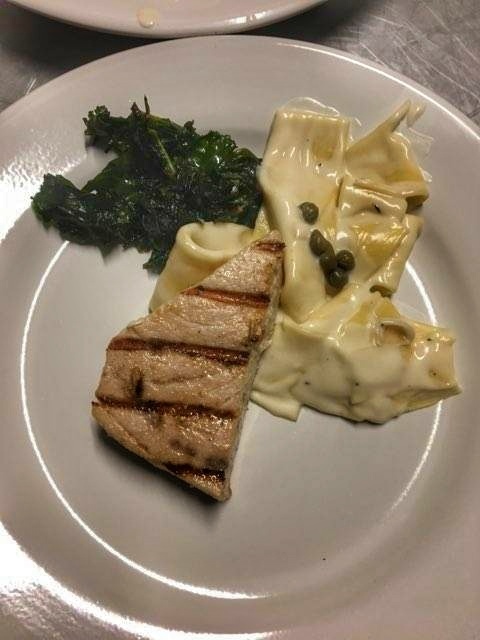 With the warm weather, new bistro and the kitchen open…weekends are BUSY BUSY BUSY! I try and have a constantly rotating menu based on what’s seasonal & available that week, and every item is sourced from our own farm, neighboring ranches and New South Cooperative (an Arkansas produce and meat cooperative that distributes Arkansas and neighboring states small farm products exclusively). St Paddy’s Day saw record crowds, and we filled a couple hundred bellies with house cured, slow cooked Arkansas grass-fed Rabbit Ridge Farms corned beef brisket, Colcannon, Arkansas cabbage and brussels, and scratch made dill and anise spiked soda bread. There were happy vegetarians too—we served Corned Lion’s Mane…locally grown Fat Top Farms Lion’s Mane mushrooms marinated in Texas olive oil and ground corning spices then salted and roasted in the oven and sliced alongside traditional Irish Fare. 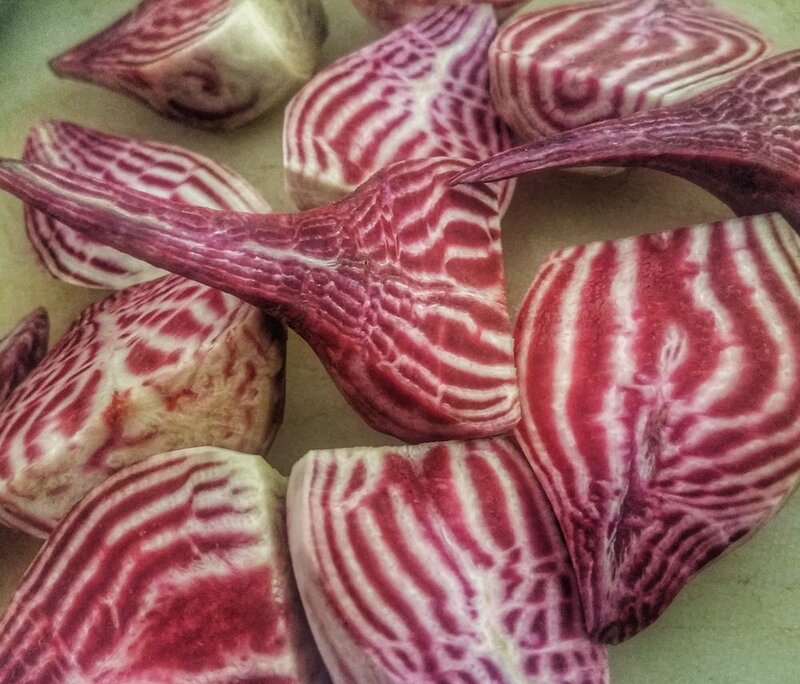 Chiogga Beets from New South! Beautiful AND delicious! The Reubenesque…a house made seitan “Plantstrami” Reuben sandwich delights vegetarians and non-vegetarians alike! From our Valentine’s Dinner (above) Flourless almond cake over olallieberry coulis, topped with meyer lemon gelee and creme fraiche…Charred miso sous vide calamari on delta rice stack with olive tapenade, avocado and roasted asparagus…..Amuse Bouche of citrus cured fresh caught California Halibut, California orange, avocado, grape and almond dusted with seaweed sea salt….Grilled wild caught swordfish over rustic house made pasta with saison “beer blanc” caper sauce, and braised kale salad with blood orange fig vinaigrette. A “quick” rundown of events coming this season!! September and October will be chock full of festivals, harvests, and great beer and food. Of course September sees Jenny’s El Hefe Jalapeno Hefeweizen and October brings Blue Eyed Susan Brown…and many more farm fresh unique brews. Along with our annual Hatch Harvest Fest (late sept-early oct) we have a few new surprises in store!! Stay tuned!!! On November 24 we will bring you the SIXTH annual Farm and Craft Market & Beer Garden at the North Logan County Fairgrounds! Despite the last minute move from the downtown square last year, our market relocation to the fairgrounds was a huge success, and we can’t wait to grow this event at this fantastic, spacious new venue!! Keep your eyes open for details! December (gosh I don’t even like TYPING something that seems so far away….but really, it’s tomorrow) will bring our local shopping events, hopefully some crafty events to help you create some great gifts, and best of all…..tamales! Christmas Eve time is tamale time! We will release our very limited number of Fruitcake beer in cans, and we will bottle our Bourbon Barrel Aged Patience for a New Year’s release. WHEW! all that and I didn’t even talk about expansion yet….it is about to get real folks…a sneak preview of our plans includes a few improvements to the existing bistro area like a covered outdoor seating area, real bathrooms, flower gardens outside B2, and a larger, well lit parking area and walking paths. Expansion will enable us to brew enough to send our beer to several carefully selected spots around Arkansas so we can spread the Beer Farm Love! Plans include a brand new 10-15bbl brewing system housed in the renovated barn (steel 10k sq foot bldg with our old barn on the outside), a large 3-season deck/patio/greenhousey kind of space alongside the hopyard, a few overnight accommodations for special events/airbnb, and expanded hours (someday, 7 days a week)! We hope to be able to offer Prestonrose as a wedding/event venue for a very limited number of occasions in 2020, and growing that branch of the beer farm tree in future years. An on-farm commercial processing kitchen is in the works (further down the road when the brewery expansion is complete) where we will process the crops we grow and produce items for retail as well as offer space for entrepreneurs to explore value added food production…and a space for culinary students and agriculture students to come together and learn about their interconnected professions in a real time farm to table setting. So many plans! So much to do!! Who wants a job?!?! We will keep you all updated as developments continue….they may come a little slowly, and/or they may not happen in the order we plan…but rest assured—we are on a mission!!! 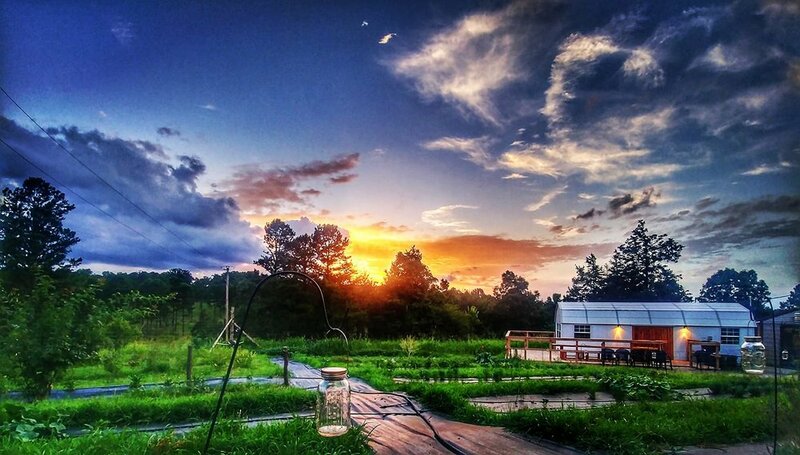 Prestonrose’s mission is and always will be to create a space where sustainable organic agriculture, craft beer, hands-on education, real food and community intersect to form a third place…one you can’t wait to get back to, always feel welcome at and always feel like the proud family member all of our beer farm friends inevitably become! Cheers everyone…keep on keepin on! You've won a trip to Paris! Remember, we are closed this Sunday November 18 for this special event! 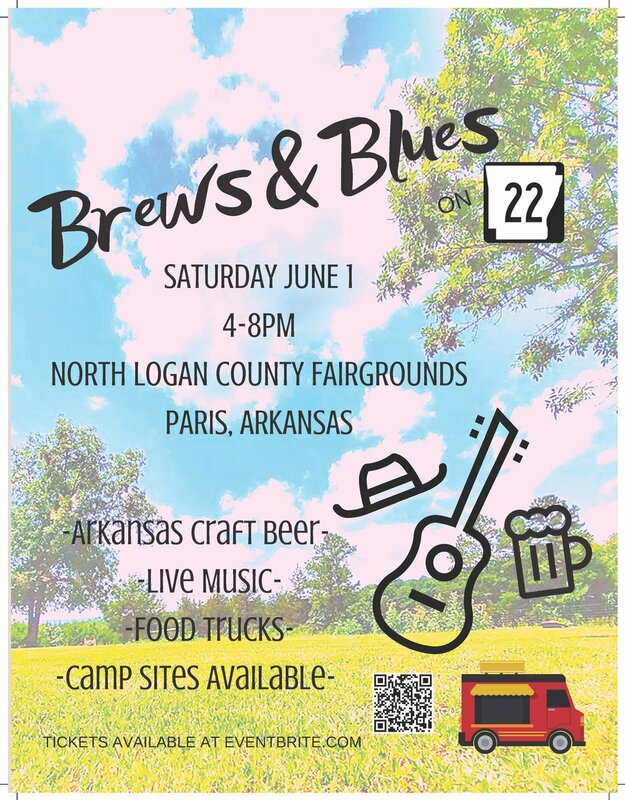 You can join us and FOUR OTHER ARKANSAS BREWERIES on the square in Paris, Arkansas from noon to 6! Buffalo Brewing, Flyway Brewing, Stone’s Throw, and Fort Smith Brewing will all join us at Eiffel Tower Park this Sunday at noon to host an Arkansas Craft Beer garden as part of our 5th annual Farm and Craft Market! Also featured Sunday will be four local food trucks - Truckin’ Delicious, Beef o’Brady’s, Hot Rod’s BBQ and One Stop Burrito Shop will be on hand to serve up some deeeelicious grub! For our non-beer drinkers we will have Teaberry Kombucha on hand, and Retro Roasters coffee for you chilly folks! Our vendor list is impressive, and we can’t wait for you to come meet all of our wonderful artisans, bakers, makers, crafters and farmers! Come and get that holiday shopping started, and support small, local entrepreneurs while you do it! There are a few days left to speak up if you are or you know someone who would like to be a vendor at Farm and Craft…just get a hold of us at prestonrosefarm@gmail.com ! In addition to our event, many of the merchants around our little square will hold special open house activities and have great deals for all of you shop-local-ers! don’t miss the best event on the square all year!! Claim your spot in the Pint Club! Pint Club memberships are open and filling up fast!! go to https://prestonrose.squarespace.com/new-products/?p and claim your spot today!!! Plant, grow, feed, pick, cook, brew, serve, repeat! With the exception of a few instagram posts and an event or two, that is the whole of my world these days! We have an AMAZING, dedicated, supportive, loving and appreciative community of friends, family, customers, fans and partners! I’m just going to make it a point to include that in EVERY. SINGLE. POST. We could not have imagined in a million years the warm embrace we were met with when we started this journey, and we continue to relish and appreciate every single day! So thank you thank you thank you THANK YOU!! We love you guys! We have some pretty exciting events coming up over the next few months! This time of year is, after all, the most enjoyable to get out and see the Natural State…and boy, do they! This weekend we celebrate the end of summer harvest with our own little Hatch Fest :-) Saturday and Sunday Sept 29/30 we will flood our menu with delicious dishes featuring our own Prestonrose Hatch Peppers prepared in as many ways as we can squeeze into that little kitchen! We held back a few bushels of those beauties to roast live for ya too….there really is nothing in the world quite like that beautiful smell of roasting peppers!! We will feature meats, cheeses and other items like locally grown rice from our farm partners….as well as lots of fresh crops right off our own farm! It’s a great weekend to check out the beer farm, and those tasty little peppers too! Plan on answering the all-important question when you order…..red or green? Also this Saturday (Sept 29) we will release our annual batch of Jenny’s El Hefe! Brewed in honor of my sister Jenny, whose fave beer style was wheat, and she loved spicy things. She was also pretty bossy—so this fits the bill pretty well! We will be serving that up alongside our Hatch menu so look out! Sunday Sept 30 is the Fall release of Patience! Bottles of our Imperial Stout brewed last winter and aged these last 9 months will be available in limited supply! Noon to 4pm Sunday only! We still have a few spots left in PC2, our second edition of the Prestonrose Pint Club! I’ll post a separate note here to tell you how to claim your spot! It’s a great deal, and gets you all kinds of beer farm clout! 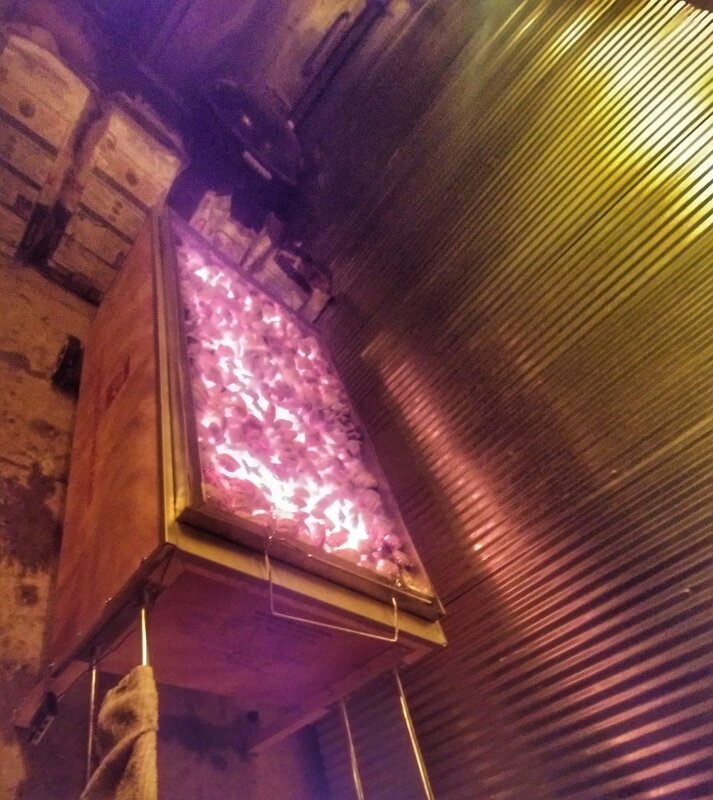 We’re cooking up all kinds of exciting things here on the beer farm this fall….stay tuned!! PAST.....PRESENT.....FUTURE. This barn, built by Huston Rose for his family over 75 years ago, is our most beloved structure on Prestonrose Farm. It will soon become the home for our expanded brewing system, new taproom and hopyard beer garden. A magical space! hoooooEEE is it hot! and crazy! and wonderful!! Things are in full swing around the farm, just trying to keep our heads above water while we play the eternal game of catch-up! But then...what's new? A few whirlwind weekends to celebrate friends, family and loved ones graduating, having birthdays, getting matched to their medical specialty for residency....you name it. The result is we skipped straight from February to JUNE and didn't notice a second go by! February saw the 2nd Beerthday Bash for the beer farm....We had a wonderful time and 4 big days of celebration, food, fun and friends! We can't believe it's only been 2 years....And that it's already been 2 years!!! We also traveled north to Omaha to see our Anna (future sis-in-law by way of Tommy, Preston's baby brother) receive her match for the next step in medical school-her residency. She got Denver! We are so excited to have both of our brothers and their families in one state! (My bro and family are in Colorado Springs). So much happening and our little circles are starting to overlap in the most wonderful ways! March was our St Paddy's day feast--that was so insane I don't remember standing still ALL DAY! We released the annual Irish Ale Cailleach Ruadh, served up about 50lbs of house corned beef and lots of fun! April saw our sweet Sandy's birthday (Preston's little sister), and the in-person Ohio delivery of her own Saison Cassandra, a french farmhouse saison made with over 40lbs per barrel of Arkansas blueberries! It was all a surprise and man was it worth all of it just to see the look on her face!! A few weeks after that we rushed off to Columbia Missouri to the graduation of a dear family friend's youngest....circled back to cook more food for ya, then hopped a plane to Colorado for my nephew Jeffrey's graduation! (Are you tired yet?) All feet are back on the ground and we are hitting the farm work HARD! Half of the new high tunnel is full, the old high tunnel has several transitions going on from the last of spring crop to the new summer stuff....500 Hatch plants are about to go in the ground...200 other peppers....flowers, herbs, veggies, fruits.....all going in better late than never! That said....we would love to build a list of Friends of the Beer Farm volunteers to call on for various projects throughout the busy season. Please email me if you're interested! prestonrosefarm@gmail.com There's not much pay but I'll feed you, send you home with veggies and of course, farm fresh beer!! beer. farm. yoga. Every Monday at 7pm starting June 4! Music on the farm! Los New Mexico Playboys will be here on the farm Saturday June 23! They will play from 5-7pm and our menu will be all New Mexican that weekend to celebrate! (Yes that means Hatch!!!). Summer release of Patience comes on June 30--the 6 month mark is my favorite, when you really start to be able to taste/smell the evolving characteristics of the beer as it ages. 22oz bombers, first come first served. Again...we are overwhelmed with the love and support from our community, friends and family! Thank you all! Our special birthday brews...Abbey Roots and Shoots. A sister pair of Abbey ales, roots was brewed with fresh Arkansas carrots and beets, and shoots was brewed to celebrate our beautiful malts from Colorado. Pictured next to the malt cracker with a terrine of the same beets, carrots and Green Dirt Farm Sheep's milk cheese. Anna and Tommy are off to Denver! little Beer Farm in the big city....Nashville. when your artist friends come to visit the beer farm on a happy, sunny day and bring supplies!